Melinda Dennis, M.S., R.D., L.D.N. Home / The Team / Melinda Dennis, M.S., R.D., L.D.N. Melinda Dennis is the Nutrition Coordinator for the Celiac Center at Beth Israel Deaconess Medical Center in Boston, MA and specializes in the nutritional treatment of patients with celiac disease and gluten-related disorders. 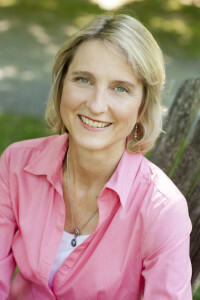 She lectures internationally, has written extensively on the nutritional management of celiac disease, including the award- winning book Real Life with Celiac Disease: Troubleshooting and Thriving Gluten Free, and is lead author and editor of the comprehensive nutrition and medical website: celiacnow.org. Ms. Dennis served on the Academy of Nutrition and Dietetic’s (formerly ADA) Evidence Analysis Library task force for celiac disease, which has written the national guidelines for the nutritional management of celiac disease for dietitians. She is on the Executive Council of the North American Society for the Study of Celiac Disease and is the Founder, former Chairperson, and current Nutrition Advisor to the New England Celiac Organization (formerly the Healthy Villi). Ms. Dennis lectures nationwide. Her her nutrition consulting practice, Delete the Wheat, LLC, offers dietitian coaching and gluten-free wellness retreats for those following the gluten-free diet.